Is It Time To Make Your Carpets Look New Again? then Sunbird Cleaning Services is the right place for you. Accidents, spills and dirt are the three things that will simply never disappear. However replacing carpets after these accidents can be a very expensive proposition. That's why we with our professional carpet cleaning service give people clean, fresh carpets at a very affordable price. 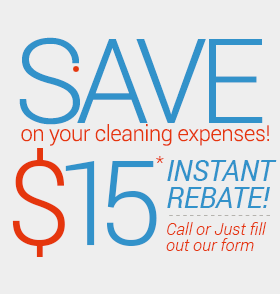 Sunbird Cleaning Services in Huntersville help your carpets look new and offer savings too. Carpets require care and maintenance, especially in high traffic areas and often usual vacuuming might not get to the root of the dirt. This could make your carpets look dull, lifeless and unhygienic. Stains, spillages and dirt from children, pets, parties and home improvements are some of the common problems faced by you. That's where Sunbird Cleaning Services come in the picture. We bring with us decades of experience in cleaning carpets. Our expert cleaning professionals know how to remove any kind of stains. Sunbird Cleaning Services always try and do an incomparable carpet cleaning job. We help you to lengthen the life of your carpets and understand that regularly cleaned carpets will last much longer. With us you will 100% guaranteed satisfaction. Remember, your satisfaction is our satisfaction. We employ the most superior, environmental friendly products that leave no residue in your carpet fibres keeping them bright and fresh. Your home will feel much healthier. Cleaner carpets will offer an improved indoor air quality. This would reduce the risk of asthma and other allergy related ailments. So, if you want a reliable carpet cleaning service, simply call Sunbird Cleaning Services or contact us at 704-209-9333 through the site and Sunbird Cleaning Services will be at your home in a jiffy.